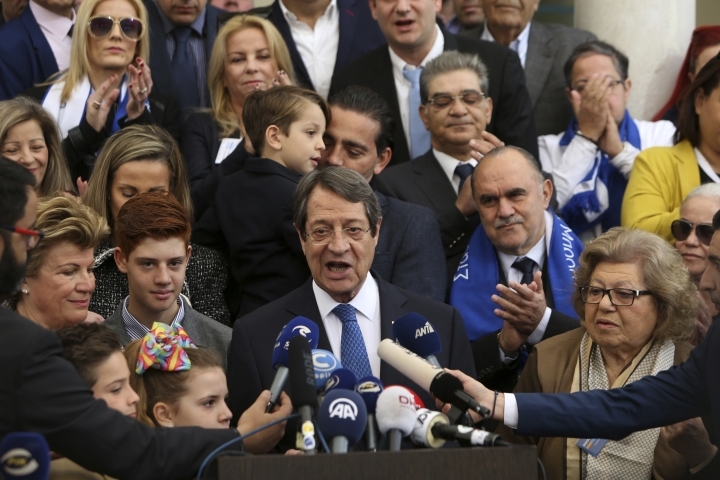 Incumbent Nicos Anastasiades has defeated challenger Stavros Malas by a significant margin in Cyprus' presidential election. State-run broadcaster RIK said Malas telephoned Anastasiades about an hour after polls closed to concede defeat. 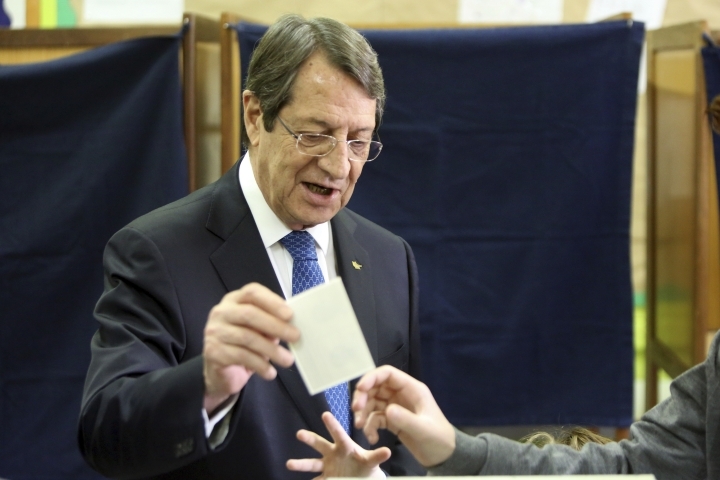 With nearly all votes from Sunday's runoff election counted, Anastasiades had a 12-point lead over Malas. 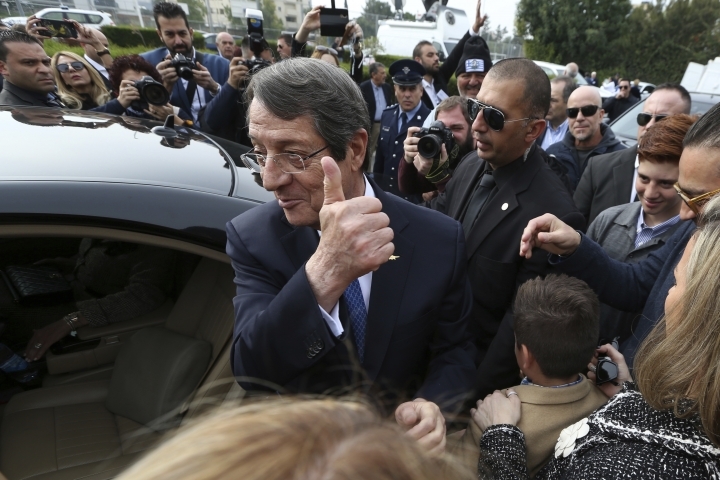 It's the second time in a row that Anastasiades, a conservative veteran politician, has defeated the left-leaning Malas in a head-to-head face for president..
Anastasiades' supporters in the capital, Nicosia, celebrated by honking car horns. 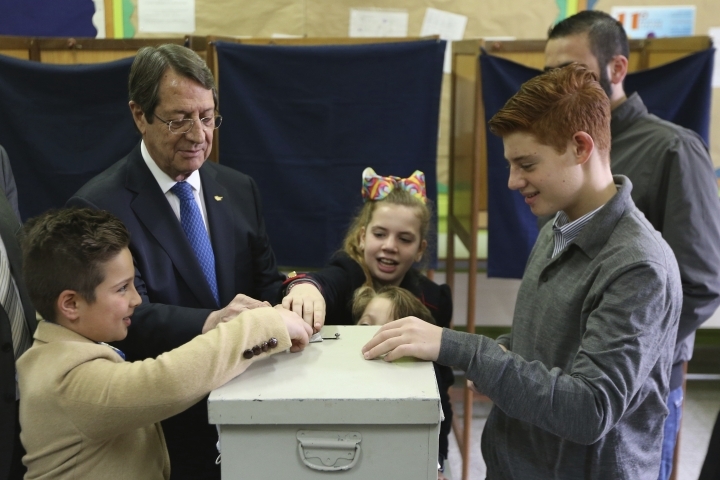 An exit poll predicts that Cyprus' conservative president has been re-elected to another five-year term, defeating a left-leaning independent for the second time. The poll by state-run broadcaster RIK showed President Nicos Anastasiades receiving 54.5-59.5 percent of the vote in Sunday's election, compared with 40.5-45.5 percent for Stavros Malas. The polling is consistent with earlier opinion polls that had Anastasiades winning. But Malas' rising momentum in recent weeks showed him closing the gap with the incumbent. 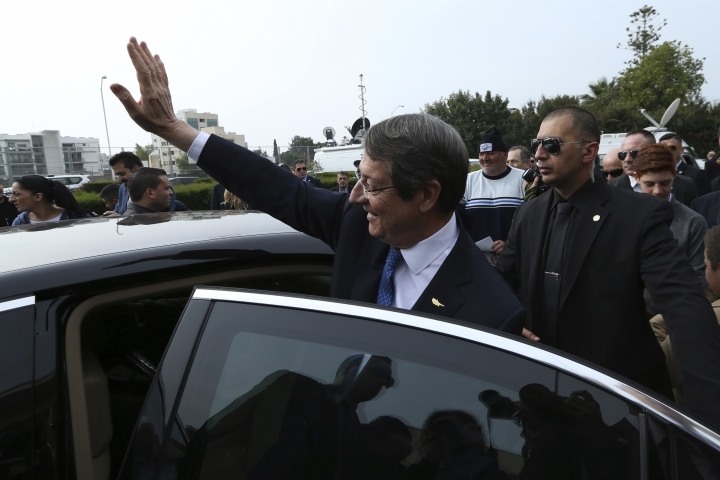 Anastasiades, who is 71, says a second term will be his last. 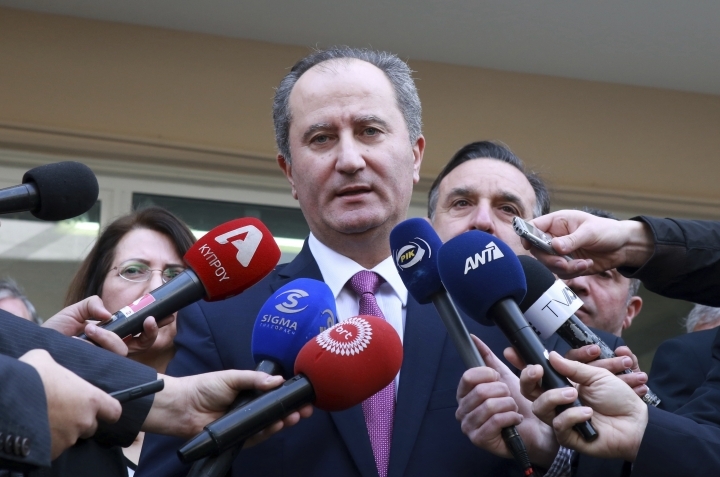 He has appealed to voters to trust his experience to keep the economy growing while pursuing a reunification deal with the island nation's breakaway Turkish Cypriots. 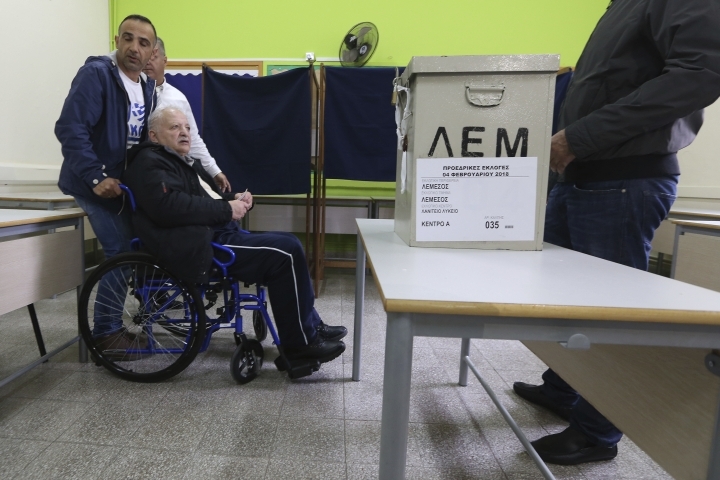 A key variable in the second round of Cyprus' presidential election is what voters who supported neither candidate in the first round will do. 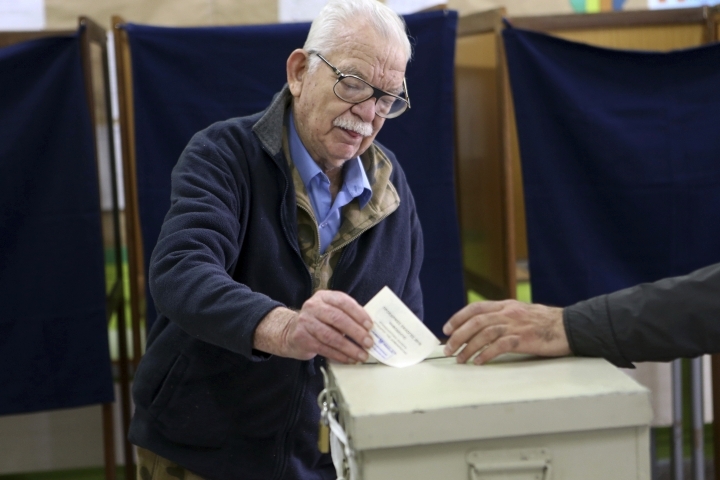 More than one-third of the first-round votes went to candidates other than incumbent President Nicos Anastasiades or independent Stavros Malas — and nearly 28 percent of the eligible 551,000 voters didn't cast ballots. Many of the votes two weeks ago went to center-right DIKO party leader Nicholas Papadopoulos. Papadopoulos took a tougher stance on reunification talks with breakaway Turkish Cypriots, accusing both Anastasiades and Malas of a willingness to make too many concessions. DIKO and smaller parties that supported Papadopoulos' candidacy decided not to endorse either runoff candidate. 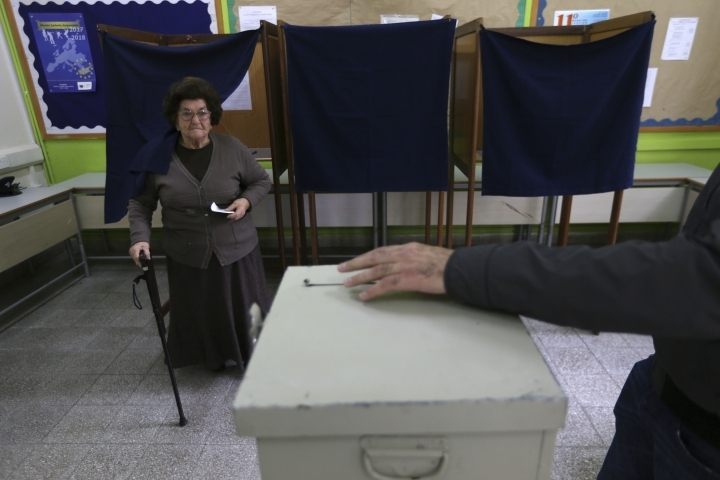 A conservative veteran is taking on a left-leaning independent in Cyprus' presidential runoff amid questions whether an agreement reunifying the ethnically divided island-nation can be found anytime soon. The choice for some 551,000 eligible voters Sunday will also depend on which candidate they feel has made the most convincing pitch to deliver more benefits from a rebounding economy. 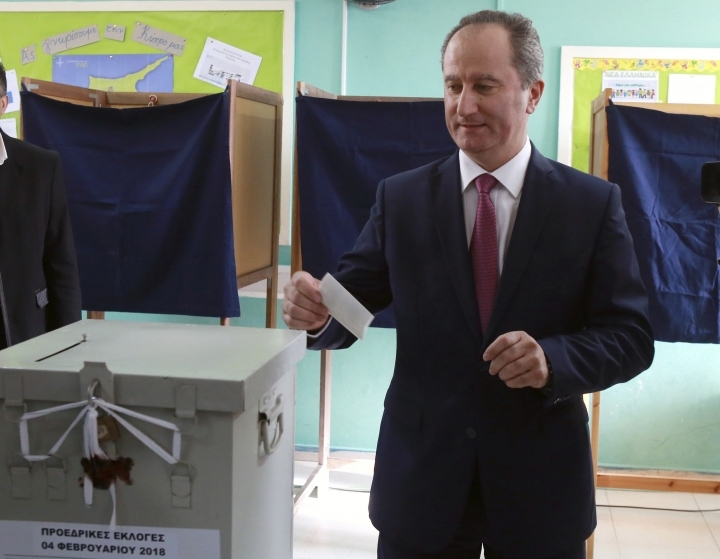 It's the second time incumbent President Nicos Anastasiades faces off against independent Stavros Malas in a runoff. 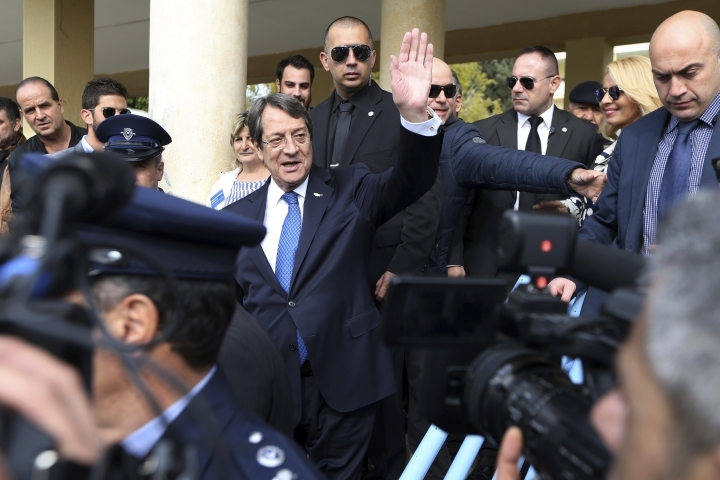 Earlier opinion polls have shown Anastasiades handily beating Malas, but the independent's strong showing in the first round could make it a closer race. Anastasiades says Cyprus needs more of his experienced leadership to stay the course. Malas says change is needed to raise the standard of living.